Illuminance Training offers a team of exceptional trainers, each with years of consultancy experience implementing ICT systems. Through this experience they have also developed an in-depth appreciation of business across a wide range of industry sectors. Our trainers also recognise that training plays an integral part in the implementation and adoption of any new ICT system. For a system to be effective it must be accepted and understood by those who will use it. Only then can its real investment potential be realised. Illuminance Training’s consultants do more than train your staff in how to use your new system. Our team is passionate about ensuring your staff can make the most of your ICT system. Their significant industry experience means that as well as explaining and demonstrating the technology, our trainers are able to offer training in the context of what it means for your business. Feedback from our clients shows that our training sessions are not only informative and practical, they are also enjoyable and encouraging, helping staff feel comfortable with embracing change. Illuminance Training is committed to our clients’ businesses and their goals, and to delivering quality, effective systems training to their staff. Based on our extensive business experience, we know that many training packages are delivered through a pre-existing timetable. We also recognise that these schedules do not always align with your business needs. Rather than offer training courses on a pre-set timetable, Illuminance Training runs our courses on-demand, at a time decided upon in consultation with you. This means that your staff training can take place when you need it most. We exist to help you thrive! Want to learn new skills or branch into a different field? Let us know exactly what you or your team want to learn, or the direction you wish to head, and our team of exceptional trainers, each with years of experience in training, consultancy and implementing ICT systems, will develop a customised program tailored to your specific needs. Once we have agreed on what is to be delivered, we will then schedule the training at a time decided upon in consultation with you. Maybe you want to update your existing skills? Let us know exactly what skills you or your team want to update, and our team of outstanding trainers, each with years of experience in training, consultancy and implementing ICT systems, will develop a customised program tailored to your specific needs. Our trainers, each with years of experience in training, consultancy and implementing ICT systems, have helped literally thousands of students prepare for and successfully pass their chosen Microsoft, Cisco and/or CompTIA certification exams. 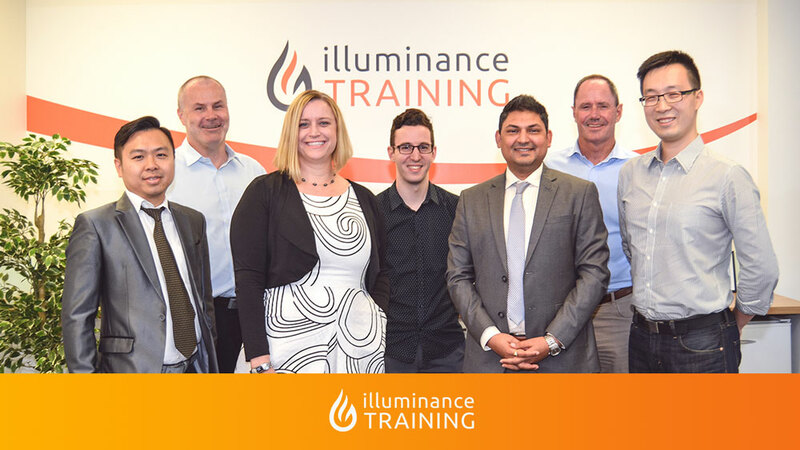 At Illuminance Training – we don’t just train you – we help you succeed.